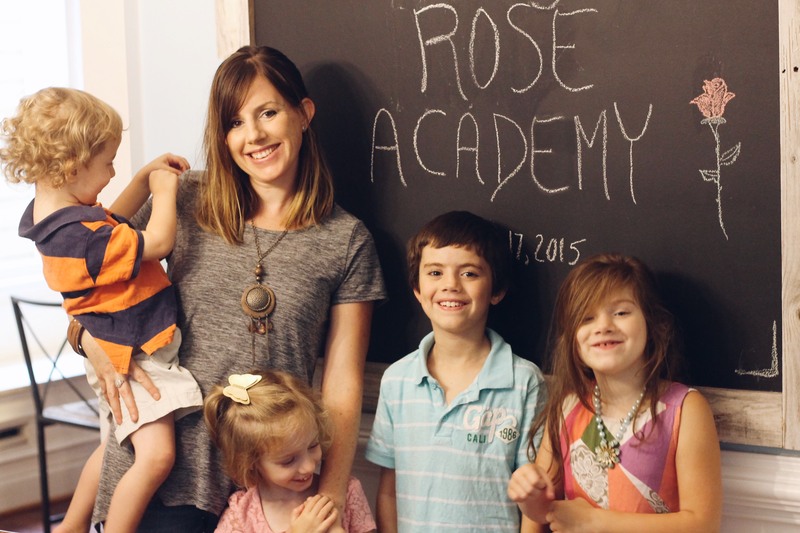 Because homeschooling is so much more than a pretty, organized room. More than smiling faces around a table. It is the hardest, most terrifying thing I have ever done. And I am a small child, staring down a seemingly dark corridor, feeling anxious, hopeless. My four school-aged children looking to me, their mama, to teach them and guide them through another year. I can find myself looking back wistfully to our first year three years ago. Somehow, even though my fifth was only four months old when we began our year, I never felt more on top of my game. It was truly a beautiful year. I felt a passion for something I hadn’t felt in a long time. We did all the projects. We did all the art. When we finished right on schedule, I felt such a surge of pride and hope. But, somehow I barely got through finishing up the second year. The passion felt dead. Year three was another year of just getting through. As I told a cousin the other day, I feel like I’m doing a shoddy job and that is all. What began with a bright flame is fading quickly. And God has us in a situation right now where I must continue on this road. Kind of helpful I suppose when you know there is no way out of something. A wanderer like me surely needs some corralling. Like Jonah, I want a place to escape to – but to the destination I feel least suited for is where I must sail. I can either trust God and embrace this call for another year or give my children another lackluster experience. I can’t do this in my own strength though and I know, deep down, that is the best place to be. When I can’t do something in my own strength, I believe that is what calling truly is. If I can do it through natural talent without God, it is not transformative. It is not character building. It is not struggle. But when I must raise the empty, shaking hands of faith to him again and again, that is living the sufficiency of Christ in me. To my sisters who are just starting out on the journey, you are brave. You are jumping into a great unknown. To those who are entering yet another year, you are brave. You know what it all looks like now: the good, the bad, the ugly. And yet, you are going for it again. Dear mamas, He’s got this.